For the first time, Michelin engineers deployed a new hybrid sidewall technology that allows the tire to maintain its run-flat capabilities and superior handling performance while also reducing the tire’s overall mass and rolling resistance. 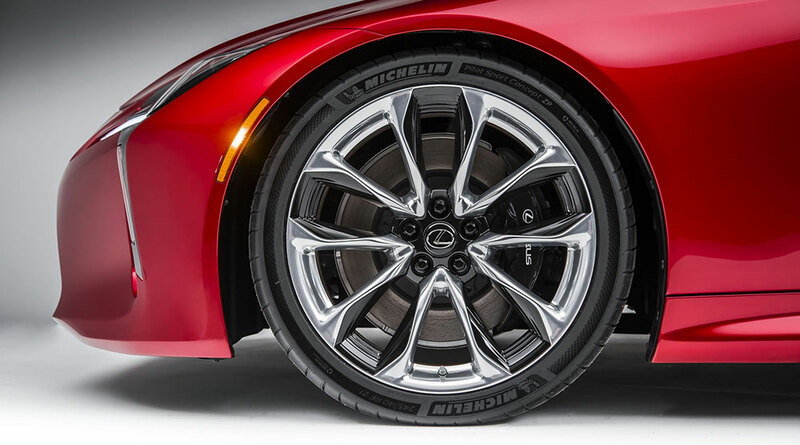 Available on the all-new Lexus LC 500 model, the specially tuned MICHELIN Pilot Super Sport ZP tires were designed to contribute significantly to handling and performance. The tire sizes for the Lexus LC 500 are 245/40R21 for the front and 275/35R21 for the rear. Bulldog 1: What a stunning wheel design! Lexus Cohen: Those wheels won't be as difficult to clean as my IS F's.